*Business hours may be abbreviated from Dec. to Mar. 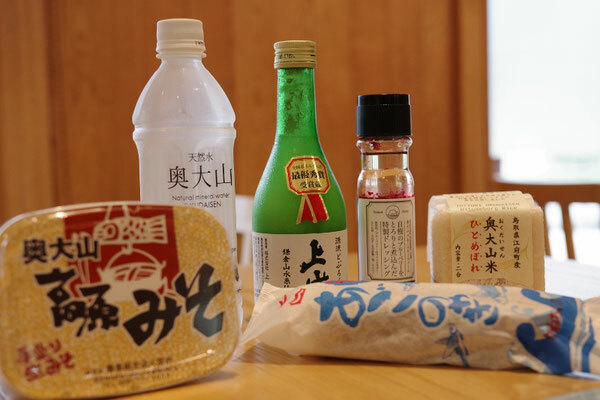 A nice selection of local items and Sanyo souvenirs if you stop by and take a break from your itinerary. 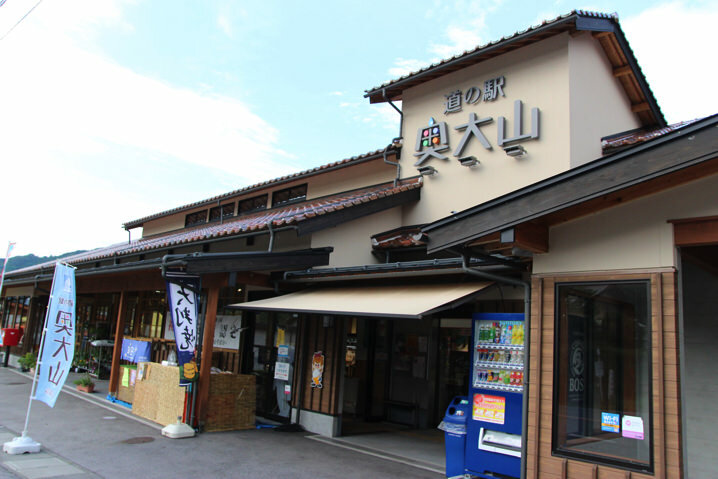 The atmosphere of Okudaisen Roadside Station, built with local Kofu-town timber, features friendly and welcoming ambiance. Items available include a long list of local specialty goods and the Sanyo region's best products in a leisurely shopping environment. Of particular interest is the Okudaisen Saké Manju (700 yen). Saké lees from Oiwa Shuzo distillery are kneaded into the manju dough with decadently sweet results. Other popular items are the Okudaisen Blueberry Tofu Mousse (350 yen), quantities limited, and the Okudaisen Shiitake Rice Mix (500 yen). 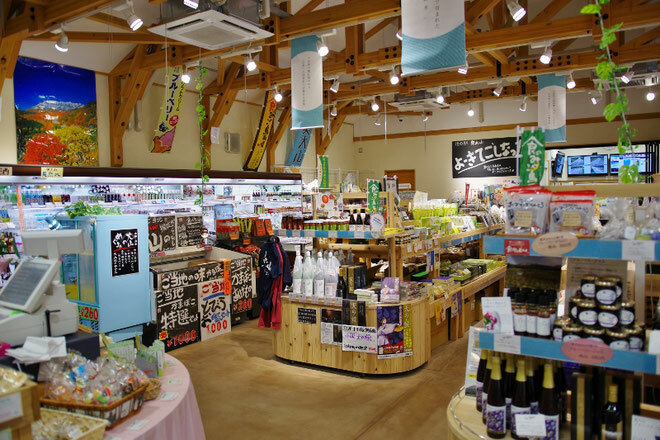 These are complemented by Oiwa Shuzo's famous Iwaizumi saké, Miyaichi Co-op's Okudaisen Kogen Miso, Okudaisen Blueberry Farm's Blueberry Dressing, and many more signature items from the area.